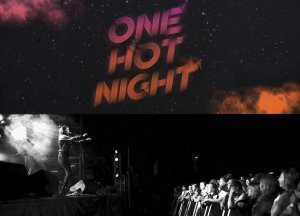 Only in its second year, Busby Marou’s ONE HOT NIGHT festival to be held on the 29th December has received $10,000 from the latest round of the Queensland Destination Events Program (QDEP), funded by the Queensland Government through Tourism and Events Queensland (TEQ). One of only 20 events financially supported in this latest round of funding state-wide, this fantastic festival has been acknowledged as having strong growth potential in terms of audience or participation numbers, positive profile of host communities and delivery of economic benefits for the Rockhampton and Capricorn Coast region! Capricorn Enterprise assisted Busby Marou Management in ensuring their application was the best it could be, and is thrilled with the result. “We are so very proud of our local heroes, who are a couple of really great guys” she said. Read the TEQ Events funding to boost tourism across Queensland story here. « Shipwreck inspires new attraction on the Capricorn Coast.